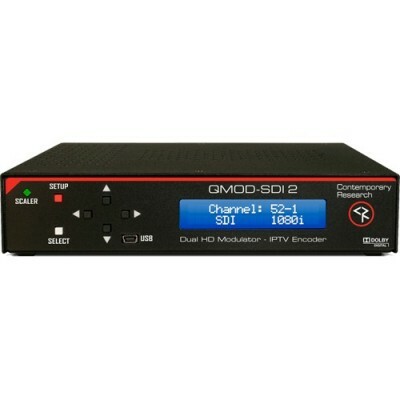 Contemporary Research QMOD-SDI 2 HDTV Modulator IPTV Encoder dual hardware scalers accept content up to 3G 1080p, shapes digital signage for edge-to-edge presentation, and compensates for non-broadcast and PAL refresh rates. 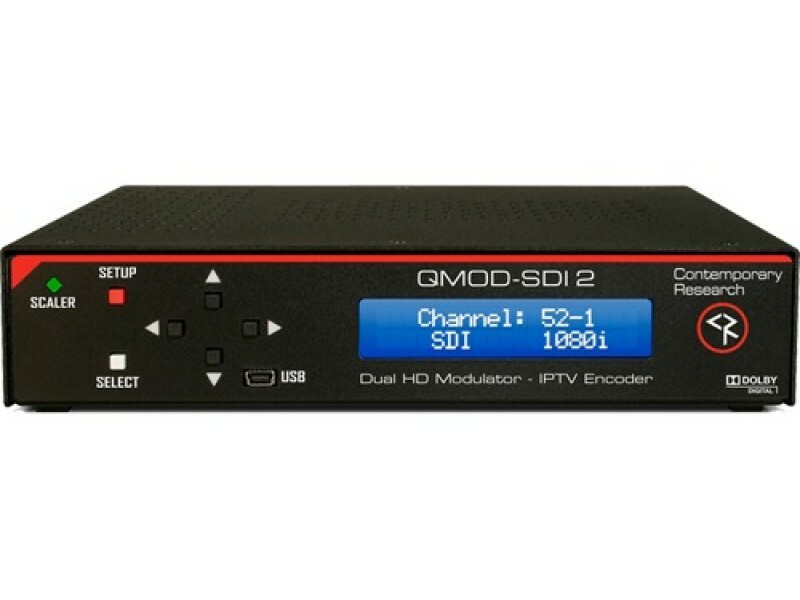 Able to deliver two HD programs in one channel, the QMOD-SDI 2 can also output the content as a Multicast or Unicast IPTV stream. 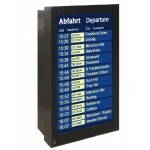 Options include dual-language SAP audio, easy front-panel setup and alternate audio and NTSC video inputs. 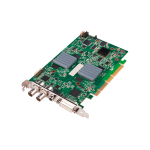 Web setup, monitoring, and firmware updates are available via USB and Ethernet ports. 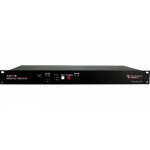 Two-across mounting offers up to four programs per rack space, with the ability to mix models to handle HDMI, SDI, Component, RGBHV and NTSC video sources. 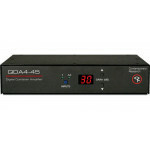 Version 2.3.4 Update reduces end-to-end RF latency to 500 ms and adds RTP protocol for IP streaming.